For those of you dreaming of lush greens cascading from your macrame plant hanger, Golden Devil’s Ivy is a sure winner. The foliage consists of heart-shaped green leaves with vines that can reach up to 8 feet long. However, variegations of golden hues occur on the leaves when the plant receives more light. These plants are easy care — only needing a light watering every 5-7 days. They also purify the air. Forget to water your plant for two weeks? Have no fear, the Snake Plant thrives on neglect. Because the plant hails from an arid climate, it enjoys sandier soil and can handle the tendencies of a forgetful home gardener. Typically, its sword-like foliage is a deep green with yellow edges, and can range in size from 1 to 8 feet depending on the variety. In addition to its low maintenance, it was a proven air purifier in a NASA study. If you’re looking for a multi-purpose houseplant, look no further. Aloe is the perfect addition to any kitchen. Part of the cacti family, Aloe Vera is a low maintenance plant containing natural healing properties. If you cut or burn yourself in the kitchen, just snap off a leaf and rub the aloe sap on it to feel relief. 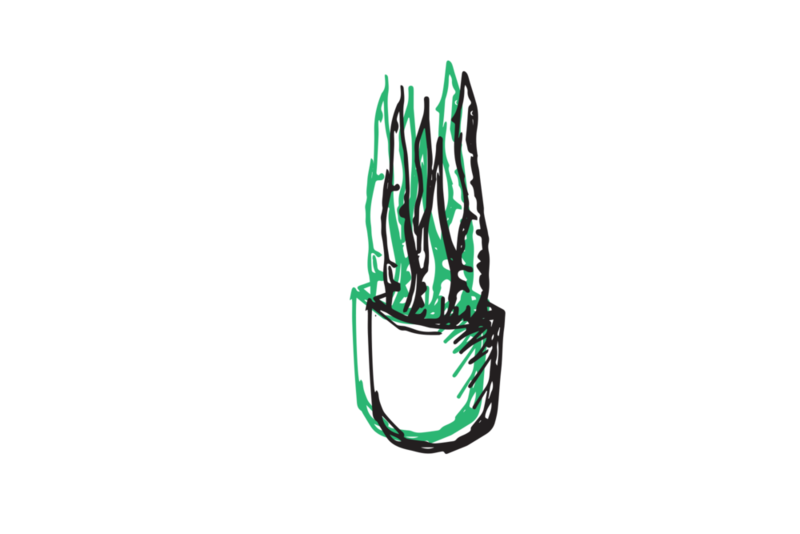 Make sure your planter has a proper draining system and you allow the plant to dry out between waterings — rot is the main cause of death for Aloe plants. Add a touch of tropical flair to your home with the Kentia Palm’s elegant fronds. Pet and kid friendly, this palm can reach up to 12 feet in height. However, it is a slow grower and with proper pruning, can be kept between 3 to 5 feet tall. This plant requires minimal watering, but does prefer more humid climates — an occasional misting with a spritz bottle is ideal. A symbol of luck and wealth in Chinese culture, Jade is a staple in restaurants and local businesses to attract success. If you’re looking for such luck, place your jade plant in a brightly lit area in your home. Jade is part of the succulent family, so it does not require much watering, however, if your jade plant begins to lose leaves, it is a sign it’s not getting enough water. Low light and drought tolerant, it’s no wonder this indoor champion is a frequent flier in the IKEA plant section. Featuring shiny, leathery foliage growing from thick stalks, the ZZ plant can grow 3 to 4 feet tall and 3 to 4 feet in spread. The main killer of this plant is overwatering, so try not to give this plant all your lovin’ with the watering can. While this plant may sound delicious, you cannot consume it! Its name derives from the natural holes that develop in its leaves as the plant matures. The Swiss Cheese Plant originated in South America and can grow up to 10 feet tall if trained to do so. It prefers humid climates, so a frequent misting of its leaves will help to mimic its natural habitat, and promote a happy and healthy plant. If you want a plant that takes the biscuit, English Ivy is a wonderful accent to any brightly lit room. Prior to modern day heating and cooling systems, this European native was used to help regulate temperatures in the homes it grew on. Now an indoor plant staple, English Ivy adds classic trailing vines to any shelf or table. English ivy requires evenly moist soil, consistent temperature and light pruning to maintain healthy growth. Ironically, the Ponytail Palm Tree is neither a palm nor tree, but a succulent. It features thin, green leaves sprouting from a smooth, bulb-like trunk mimicking the shape of its namesake. The Ponytail Palm Tree can reach up to 4 feet in height indoors. You can leave this plant indoors in low light areas in the winter time, and can move it outdoors to full sun in the summer time. Since it is a succulent, infrequent waterings are encouraged. Symbolizing calm, balance and rebirth, this shade-loving plant is low maintenance and will add tranquility to any room. The plant features a unique white blossom, similar to a Calla Lily, emerging from large, dark green leaves. Most varieties of Peace Lilies can reach up to 3 feet tall and are perfect for floor planters. Not only does this beauty visually symbolize peace and purity, it has also been proven to purify the air. Originating from Texas, Echeveria is a type of succulent that’s growth stems from a small rosette. Most often, these plants do not spread larger than 12 inches—especially when contained in a planter. Just like its succulent family members, Echeveria does not like to be overwatered and the soil should be allowed to dry out in between waterings. To help with soil drainage, plant in an unglazed, clay pot. The oil from this plant’s luscious locks is used to create shampoo hence its name, “Maidenhair.” In the wild, this plant can grow in between rocks and really, any environment that is humid and damp. In the home, this environment should be mimicked by using a pebble tray or placing your plant in a bathroom or kitchen. 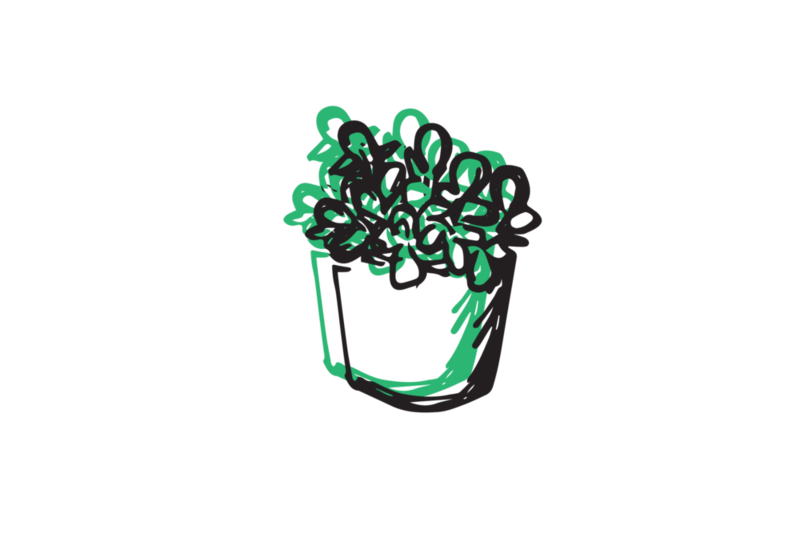 This plant is high maintenance as it requires frequent waterings to keep the soil moist as well as efficient lighting that promotes growth, but does not damage the foliage.